The 6.8 SPC has been around for several years now. Much like the 10mm Auto, it has been repeatedly considered “dead” by many experts. Well, their predicted demise has proven a bit premature. I’ve carried 6.8 SPC and 10mm weapons for years, and they are still popular for many shooters, with new guns in these chamberings consistently being introduced. In fact, there is no shortage of weapons, modern ammunition or interest for either of these chamberings. Everything in this industry fluctuates, but neither the 10mm nor the 6.8 SPC has been anywhere near “dead,” nor do they look to be any time soon. I’ve always encouraged innovation, so the 6.8 SPC has been on my radar since its introduction. I always have at least one 6.8 SPC AR in my inventory. I also fielded a short-barreled AR in 6.8 SPC on my SWAT team, where it served me well. The only real issue has been finding reliable magazines, and LWRCI found a solution to that in its Six8 platform. Designed from the ground up around the chambering, the Six8 solves the magazine issue and offers reliable feeding. Some of our Middle Eastern allies—never convinced of the 5.56mm’s effectiveness—were interested enough to buy several thousand 6.8 rifles. 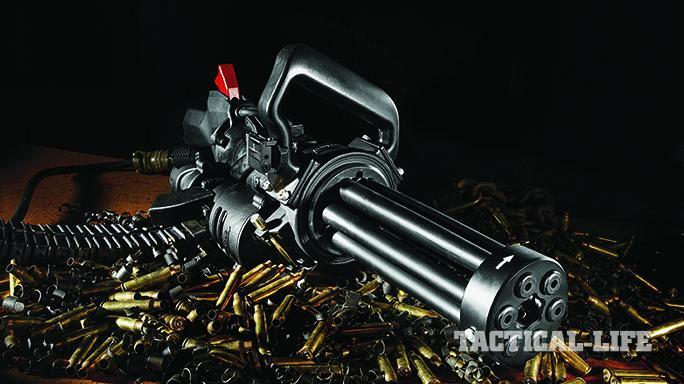 This prompted the next logical step, a belt-fed machine gun in 6.8 SPC. Squad-level machine guns have been around for decades. Small units need something beyond their primary weapon for suppressive fire, or concentrated high rates of fire. 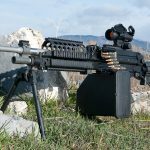 Belt-fed machine guns are just about perfect for this task, which is why they are a mainstay for several military units. 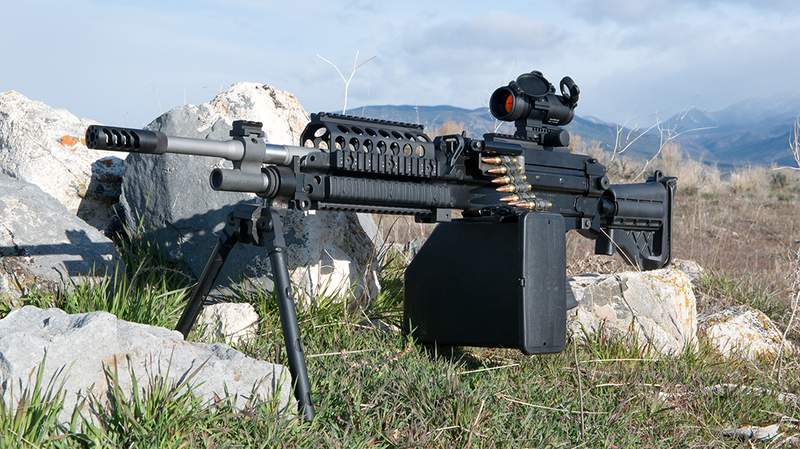 While many general-purpose machine guns fire the 7.62mm NATO, such as the M240, 5.56mm versions were developed for smaller units. 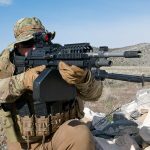 These machine guns offer higher capacity, less weight and greater portability. The 5.56mm M249 squad automatic weapon (SAW), for example, met small-unit needs and provided ammunition compatibility among team members. Many NATO allies adopted the same system. Talk to those who’ve used them in the field, and you’ll find that the 5.56mm versions were either loved or despised. Not nearly as consistently dependable as the M240, they suffered from some reliability and wear issues. Several upgrades and enhancements over the years have made these machine guns more reliable than ever. 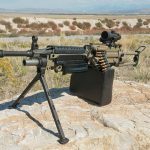 U.S. Machine Gun Armory (MGA) has created its own version of both the M240 and M249, correcting many of the issues suffered in early versions. The company also offers a number of caliber conversions in 5.45x39mm, 300 Blackout, and now, the 6.8 SPC . MGA’s patented designs offer significant versatility. Given my preference for this chambering, I immediately jumped on the opportunity to test two of MGA’s 6.8 SPC conversion kits on M249 SAWs. 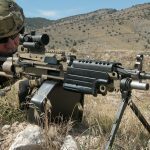 These conversion kits work on any mil-spec M249 or MK46 machine gun. Standard kits include the barrel, bolt, feed tray and link resizing tool. MGA also offers complete guns in 5.56mm, 6.8 SPC and 7.62mm. 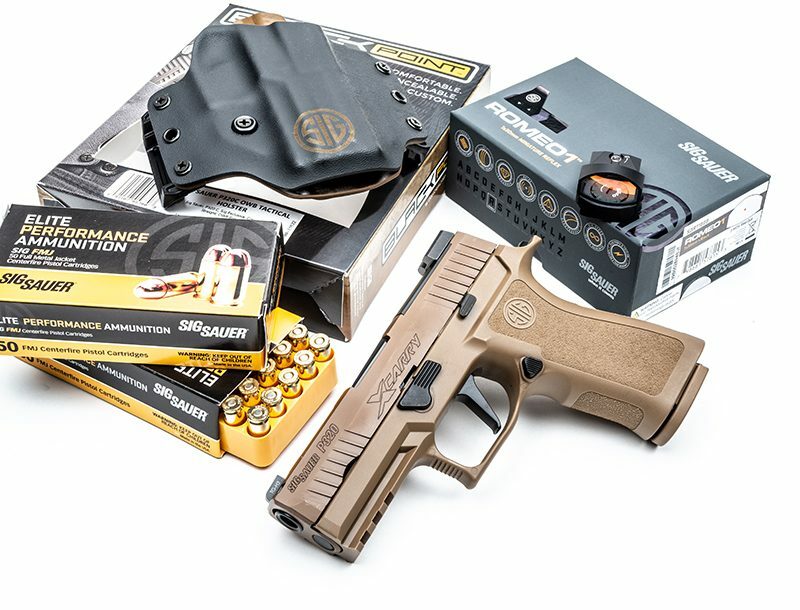 For those agencies that require a semi-auto setting, GA also makes a closed-bolt conversion that utilizes a registered HK G3-style trigger pack, giving agencies and civilians a semi-auto-only variant. 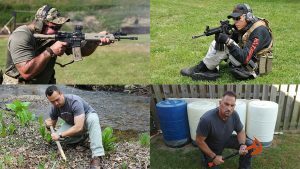 The company’s lineup really is pretty extensive, offering something for just about anyone who needs a SAW or just wants one for some serious fun on the range. Designed for jumping, the M249 Para is robust, though its stock is little less than comfortable for shooting. It included a lightweight handguard with a top rail along with the standard rail attached to the top cover. It was also equipped with a 200-round box magazine. The MK46 Gen-3 was quite a bit lighter than the M249 SAW, with a collapsible stock more in line with a typical AR’s. This gun used a 200-round box magazine, iron sights and a rail for mounting optics. On two separate range days, I ran both an M249 with a Para stock, a mil-spec model indicative of those currently in use with units today, and an MK46 Gen-3, MGA’s improved version of the MK46. Both were equipped with the company’s latest 6.8 SPC conversion kits. 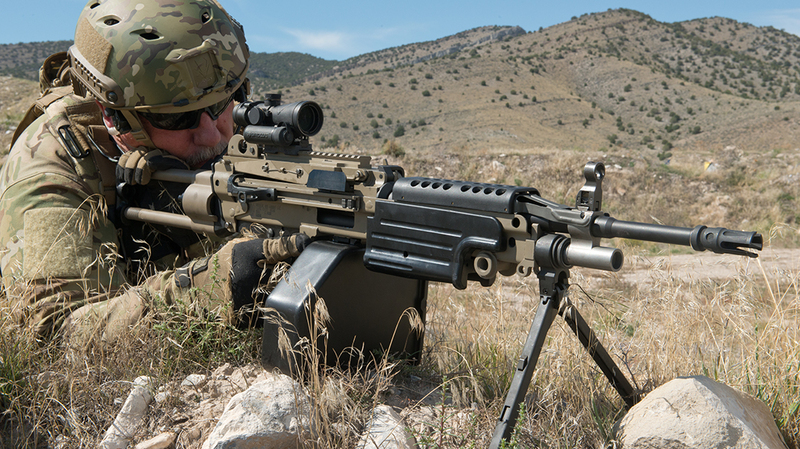 Designed for jumping, the M249 Para is robust, though its stock is little less than comfortable for shooting. When I spoke to my friend, Buck Doyle of Follow Through Consulting, his disdain for this stock became obvious. After spending a day with it, he was correct—it is not the most comfortable stock. This gun used a 200-round box magazine, iron sights and a rail for mounting optics. It also included MGA’s latest bipod, which is very strong and pretty light, fitting nicely into the handguard when not in use. For testing, I removed the M16 box magazine attachment and the carry handle. The barrel was capped with a Primary Weapons Systems (PWS) Triad flash suppressor, and I used a 4×32 Browe Combat Optic (BCO) for sighting at longer ranges. The BCO’s titanium housing offers extra durability without getting too bulky. The BCO also uses a unique Target Light Sensor that senses light at the target and adjusts the brightness of the reticle, meaning you can be in a dark environment, but the reticle will still stand out against the target. The BCO has several settings, including an automatic one where the lighted portion turns off until the optics is moved. Available with a number of reticle choices, you can get a BCO to suit your caliber and tactical needs. The MK46 Gen-3 was quite a bit lighter, with a collapsible stock more in line with a typical AR’s. It included a lightweight handguard with a top rail along with the standard rail attached to the top cover. It was also equipped with a 200-round box magazine. Two barrels were provided for testing; one used the aforementioned PWS Triad flash suppressor while the other sported a Seekins Precision ATC muzzle brake. The MK46 also used MGA’s lightweight bipod, which folded forward or backward as needed. The gas block included a rail, allowing you to mount a folding sight if needed. Since the front rail matched the top cover rail in height, any AR sight could be used if needed. To keep it simple, I mounted my Aimpoint Pro on the MK46 Gen-3. Neither of these weapons has a semi-auto function, making single shots all but impossible. I tested MGA’s HK trigger pack on another M249 beforehand, and this yielded some impressive accuracy. Both the M249 and the MK46 exhibited similar accuracy. These guns are very soft shooting, given their weight and the gas system used. If you can hold them in place, they are pretty accurate. Getting into a solid prone position, it was possible to keep them on an 8-inch plate most of the time while shooting doubles and triples. It was much easier to get comfortable with the MK46. Flipping up the shoulder attachment on the M249 is downright painful without a vest, and there just is no cheekweld, so it was a bit more problematic. Either way, they are pretty accurate and quite controllable for belt-fed machine guns. MGA uses very-high-quality barrels, and they have always been accurate. Swapping out the different barrels yielded the same accuracy; the muzzle brake was just louder to me. As heavy as these guns are, there just does not seem to be an advantage to using a muzzle brake. In any case, these guns were at least as accurate as any previous M249s I’ve used in 5.56mm NATO, especially at urban fighting distances. Moving out to longer ranges, the guns remained impressive. I focused my testing to note any differences between the 6.8 SPC and 5.56mm chamberings. Staying on steel at 400 yards was pretty easy, even with triples and an occasional five-round burst. Keeping them all on a 24-by-16-inch steel target at that range was pretty easy. With a solid position and some effort, they were surprisingly accurate at this range. While it’s purely anecdotal, I’ll go ahead and say it was also much easier for me to stay on steel with the 6.8 SPC models than a 5.56mm. 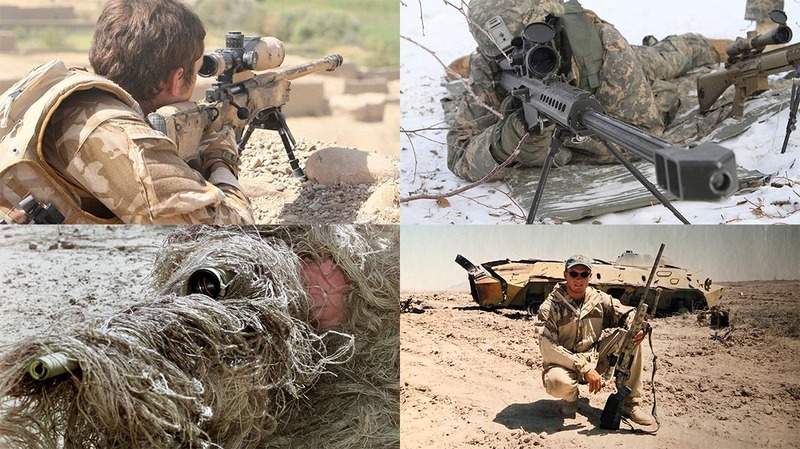 Either way, these systems is more than adequate for controlled and accurate suppressive fire at longer ranges. 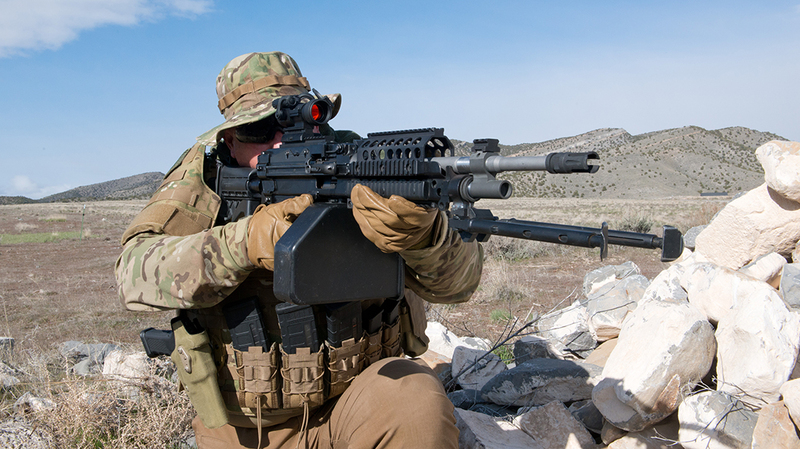 While no lightweight, the M249 can certainly be fired from standing and other positions. No, it’s not something you would want to do for long periods, but the M249 is not much heavier than some of the older sniper rifles I’ve used. Its empty weight is just a bit under 17 pounds. Also, it takes some effort to get a solid hold around the 200-round box, but it can be done. It is a ton easier with the 100-round boxes. 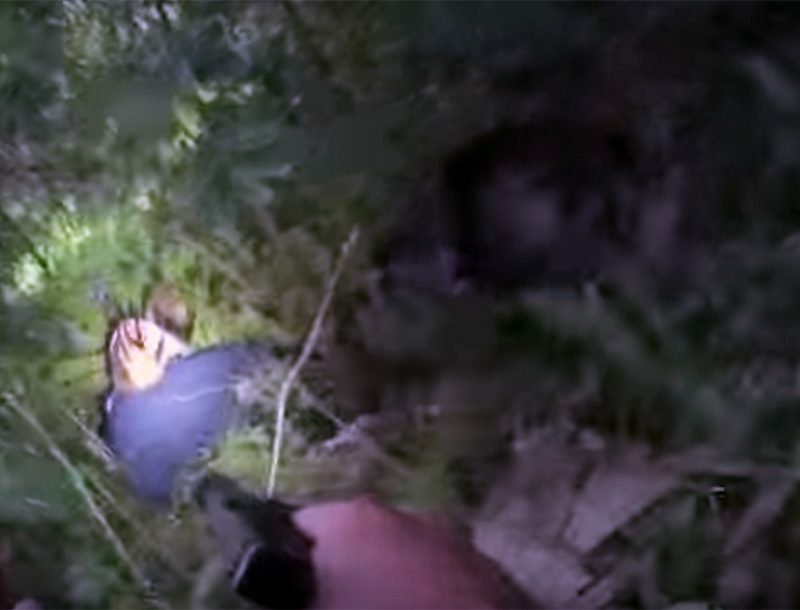 Shooting from kneeling is much easier, although you would clearly want to try and get to prone, or at least get the gun rested on something if you can. Working around the range and some rocky outcroppings, it was easy to steady the M249 using natural terrain. MGA’s MK46 was quite a bit handier, although the box magazine presented the same issues. While not really compact enough for entry operations, it is clear why many small units prefer this configuration. Once the testing in earnest was complete, it was time to just have some fun. And honestly, there are few things as fun as shooting a belt-fed machine gun. No rock was safe, and the last test involved shooting some scrap concrete cinder blocks left over from a hardened wall once used as a barricade. After sighting in to make sure I was on target, I turned the blocks to dust in about 50 rounds. Both of these guns could prove very useful for those in harm’s way, but for me, there was just a really big grin on my face when all was said and done. 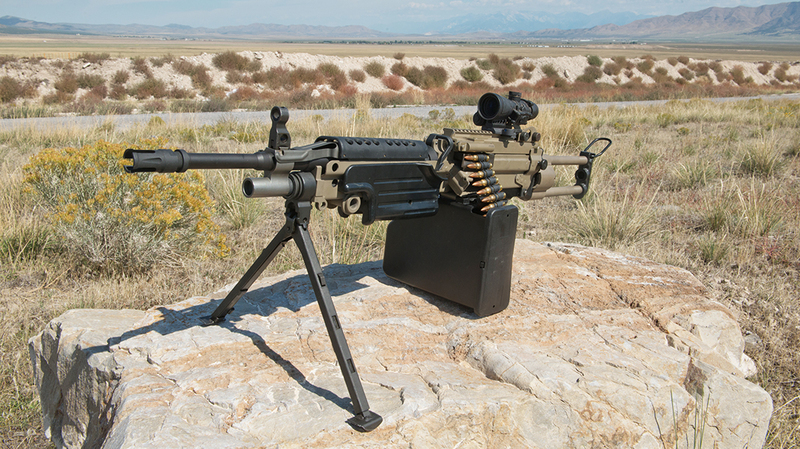 U.S. Machine Gun Armory has worked very hard on its 6.8 SPC conversion system. The bolt and barrel change is pretty easy; the links were the original source of difficulty. Initial testing on prototypes suffered some issues, but during this test I had zero issues with broken links, or links coming loose during firing. These guns have always been a bit finicky, but the conversion yields the same reliability as the most reliable M249 I have ever used, and a bit more than most. MGA’s patented 6.8 SPC conversion, including the links, seems to have this pretty well knocked out. It provides a solid option for those choosing to take advantage of the ballistics of this excellent cartridge, or just looking for cross compatibility. If nothing else, it does this longtime 6.8 SPC fan’s heart some good. As usual, the 6.8 SPC’s eminent demise is just a bit of an exaggeration. Using this platform truly takes advantage of the 6.8 SPC’s strengths. For more information, visit MachineGunArmory.com.